NOTE: The PHOTON FLOOD™ can also be used EFFECTIVELY on Horses. 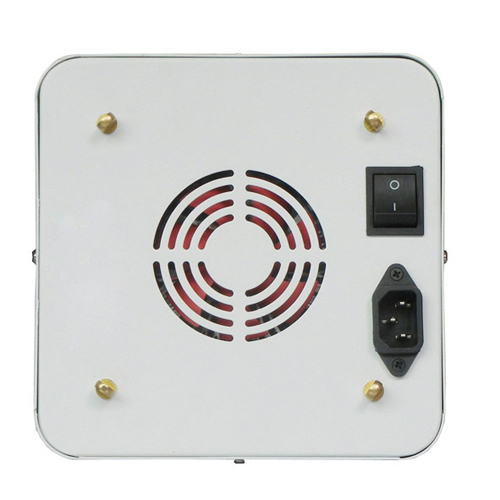 The PHOTON FLOOD™ is a Professional Biophoton Tool, utilizing 1 - ULTRA-POWERFUL 100 Watt Light Emitting Diode (LED), which emits a SOLID/CONTINUOUS Multi-Color Light Beam, including the following frequencies: Blue - 430~440nm & 450~460nm, Red - 610-615nm, 620~630nm & 650~660nm. These SPECIFIC Light Frequencies have been found by Health Researchers and Practitioners to have a POWERFUL Effect on the Cells of the Body, making the PHOTON FLOOD™ an INVALUABLE aid to your Health and Wellness! This Healing Effect is initiated, when the Monochromatic Blue & Red Light Photons from the PHOTON FLOOD™ STIMULATE the cell's photoreceptors, and then stimulate the DNA to start the "Healing" Process! The Multi-Color LED Light Beam is to be shined onto a LARGE affected body area (i.e. - skin, joints, involved muscles, tumors, etc.). 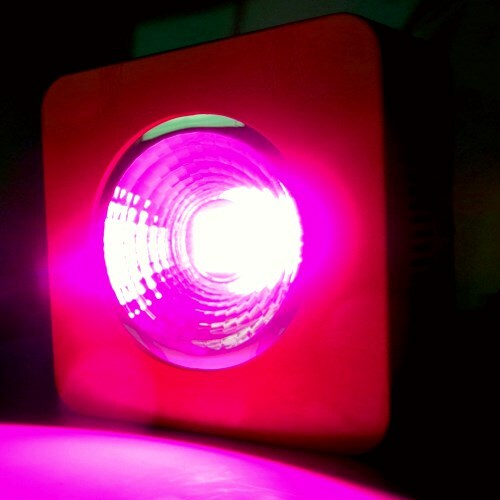 The PHOTON FLOOD™ operates simliar to a Laser, because it emits a Monochromatic (single color frequency) Light Beams like a Laser, but isn't EXACTLY like an ACTUAL Laser, because this Multi-Color LED Light Beam isn't Coherent (In-Phase), and that makes it SAFE to be used even in the Eye Area (closed eyelid). Besides, Researchers have found that the MOST IMPORTANT Factors with either Biophoton Light Therapy Device is the Monochromatic Light, Power and Exposure Time. The PHOTON FLOOD™ is being offered to you as a way to advise your Body, that the TARGETED Area, upon which you're emitting a SOLID/CONTINUOUS Monochromatic Multi-Color Light Beam, including the following frequencies: Blue - 430~440nm & 450~460nm, Red - 610-615nm, 620~630nm & 650~660nm, NEEDS ATTENTION! Upon receiving Exposure to the various wavelengths of the PHOTON FLOOD™, your Mind and Body's Defense System comes into play and employs the NECESSARY Activites to address the initial causes of the Pain or DIS-EASE, which may have been brought about by Mechanical, Chemical, Electromagnetic, Psychological and/or Pathogenic stresses. DIMENSIONS 7" H. X 7" W. X 3.3" D.
SOLID (sedate) 85-265 Volts .5 A 0.04" to 0.4"
NOTE: The PHOTON FLOOD™ contains 1 - SUPER POWERFUL 100 Watt Blue - 430~440nm & 450~460nm, Red - 610-615nm, 620~630nm & 650~660nm Light Emitting Diode (LED), NOT a Laser Diode, and they radiate a Monochromatic (single color frequency) Light Beams, NOT a Coherent Light Beam, which is about 80% as EFFICIENT as a Medical Laser, that uses a Laser (single frequency & coherent in-phase light) Diode. 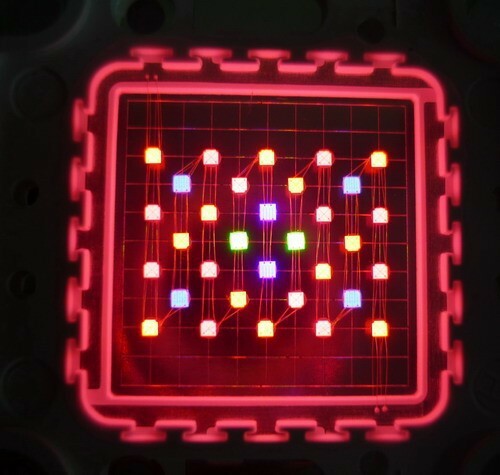 This 100 Watt Blue - 430~440nm & 450~460nm, Red - 610-615nm, 620~630nm & 650~660nm Light Emitting Diode (LED) have been reported to be SUCCESSFUL in REGENERATING, TONIFYING and CLEANSING the Blood. The 100 Watt Blue - 430~440nm & 450~460nm, Red - 610-615nm, 620~630nm & 650~660nm Light Emitting Diode (LED) also HELPS to release Factors, which STIMULATE the Proliferation of Fibroblasts, plus Mediators of Wound Repair and Inflammatory Process Healing, also including an Anti-Bacterial action. The professionally-crafted and balanced red metal case of the PHOTON FLOOD™ contains the following: 1 - 100 Watt Blue - 430~440nm & 450~460nm, Red - 610-615nm, 620~630nm & 650~660nm Light Emitting Diode (LED), plus an A.C. to D.C. Power Supply. NOTE: The 1 - 100 Watt Blue - 430~440nm & 450~460nm, Red - 610-615nm, 620~630nm & 650~660nm Light Emitting Diode (LED) is in a SOLID/CONTINUOUS Light Beam Mode. NOTE: Please print-out or make arrangements for seller to print-out the above documentation. Ordering The PHOTON FLOOD™ By Mail, Please CLICK HERE. The Price Of The PHOTON FLOOD™ By Mail, Please CLICK HERE. Reading Information About Using The PHOTON FLOOD™ For Pain, Please CLICK HERE. Reading Information About Using The PHOTON FLOOD™ For Muscle Spasms, Please CLICK HERE. 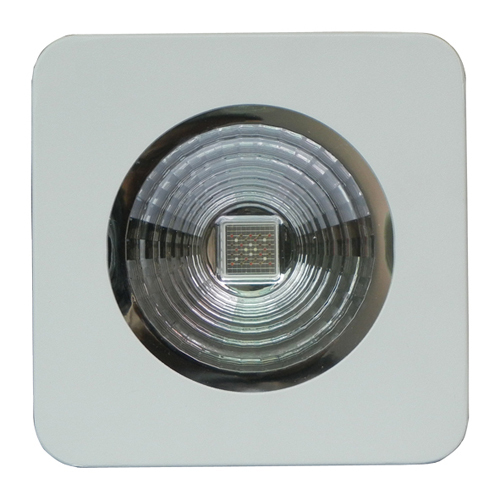 Reading Information About The Therapeutic Applications Of Various LED Colors, Please CLICK HERE. Reading MORE Information About BIOPHOTON LIGHT THERAPY, Please CLICK HERE. A LOWER-Priced 10 Watt Output Biophoton Tool, Please CLICK HERE.